So much goes on in the blogosphere – how do you stay updated? Certain super bloggers like Neil Patel maintains 3 top blogs – KissMetrics, QuickSprout, NeilPatel.com – while most people would just get overwhelmed trying to keep up with the content on all three of them. While there’s no dearth of quality content in the online marketing space – we decided to compile a top 125 list, thus making sure we have included all of our favorite marketing articles. Ideally, we wanted to publish this in March right after Twitter Influencers in January and Social Media Trends in February – as it was part of the monthly round-up series. However, it got delayed because we were working hard on our Content Amplification Service. 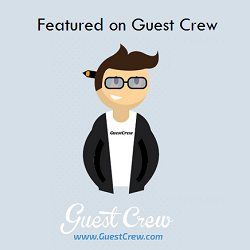 We are using the Guest Crew social features and our Influencers to Launch our Blog Marketing and Content Amplification Service. The idea behind our content amplification service is – if we can use our Influencers to Launch your business – the same influencers can amplify your content too. 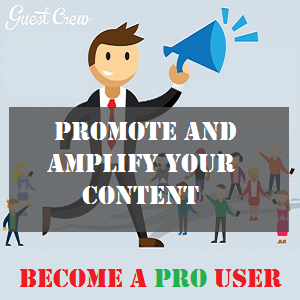 We created AmplifyBlog recently to promote your content further. I, Uttoran Sen, along with my partner Oleg, with the help of the Guest Crew team (Dan, Ashish and Theodore) have compiled this list. Do follow us on twitter to stay updated, thanks. So, without further delay – here’s the best of the best – Marketing Content Round-up. @neilpatel – The foundation of your social media strategy is to understand who your target audience is and why they use social media. To do so, we need to utilize demographics and psychographics. @problogger – The most labor-efficient way to build readership over time is long-form evergreen content. @GrowMap – The very first thing every business, blog, or ecommerce site needs to know is what their most important keyword phrases are – because how you write about and promote those phrases determines whether your Web site gets found online and by how many. @chrisbrogan – Emulate. Research. Recreate – There’s your little operating system. Take it. Run. Learn. Make new skill babies! @Mike_Stelzner @smexaminer @copyblogger – Getting outside experts involved also validates your own expertise. When you can attract the best, people will see you as an expert in your own right. @JonMorrow – If you want to succeed, you have to change. Surround yourself with smart people, bury yourself in books, and cut all the crap out of your life that’s distracting you. @mqtodd – When you start getting more popular group boards it is maybe good to keep changing the order that they appear on your profile. People will probably visit you quickly to assess whether or not to follow you or to decide whether or not to check you out further. It is important that your top boards show this as Pinterest users are trained into making decisions via visuals! @Backlinko – Sweeten the deal with bonuses – A product + bonus has a higher perceived value than the same two products bundled together. @MMarquit – If you are ready to take your writing to the next level, pay attention to the words you use. Cut out the fat, and choose words that move your narrative forward. @randfish- Brands tend to earn traffic from a wide variety of sources. If you can start earning traffic from lots of sources and have the retention and the experience to drive people back again and again, well, probably you’re going to benefit from some of these potential algorithmic shifts and future looking directions that Google’s got. @harleenas – you need to rise above the basics of blogging and go to the advanced level, which is the CRUX of blogging. That’s their secret sauce to success. @jasonfox_me If you wait to start adding content you never will. Do it today. Right now. @HotBlogTips Make people want you, love you, need you. Is that asking too much? Feel free to use this “As-Seen-On-GuestCrew” creative on your blog or where ever you wish! You have done a great job Uttoran Sen! I would like to know how much time do you spend in consolidating these amazing quotes. Thanks for including mine along with the inspiring blogging personalities, I feel honored. Keep your good work, have a productive week ahead! Yes – it took me a long time … pretty much over a month! I added a few quotes everyday and kept looking and researching further. I love publishing posts on Mondays, so I targeted this Monday to finish up the post and publish it. Wow… what a big list of bloggers! One month is a pain for me and if you will ask me how long can I put all of these in one post, I think it will take me forever. By the way, it is always nice to read those quotes from successful bloggers because it motivates small time blogger like me. That is some pretty intensive stuff. But thank you for the comprehensive collection of quotes. Will be sharing it shortly. How are things these days? Things are great, GuestCrew is coming up really well. We have some upcoming social features that we will be launching during November – which will help us promote and Amplify content further. There is also a contest coming up on Amplifyblog.com for the month of October. 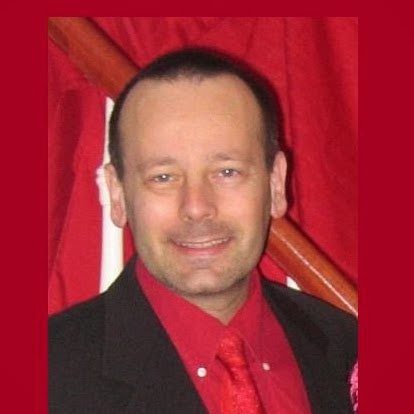 I am truly honored to be added to your list of Top Bloggers. You have really done your homework here, Wow I just love all the quotes!! Thank you so much for including mine I do appreciate it. Thanks for taking the time to put all of this together. That’s a ton of work. Most of all I appreciate you including me amongst all of these great bloggers. I am truly grateful. Wow, Uttoran! You really outdid yourself this time. I love that every response is set up as a ‘click to tweet’. What a brilliant idea. I might need to borrow that for my next roundup! Keep up the great work. Sharing this post out now! Yeah, the click-to-tweets really work out well. I did the previous roundup of the twitter influencers the same way and we have already received 2k+ tweets till date and we still keep getting some tweets on it everyday! It went so well that I even contacted the plugin creator – Tim Soulo – to do a giveaway campaign for the plugin on Guest Crew. you put together such a great post . Thanks for including me and my blog. Great nuggets of wisdom! Thanks for compiling all of these quotes. Uttoran, what a great list! This took a lot of research! I really like the feature that each quote is a “Click to Tweet,” which I did! Several of my favorites are here plus I saw some new faces with new quotes to relate to. Thank you so much for a great post. Much success to GuestCrew! Wow , I have to say this is an amazing and beautiful work . All this great and and helpful quotes ,ready to tweet. Super creative and innovative work . You’ve done an awesome job with this round up of quotes – I really appreciate you including my quote from one of my blog posts about Multitasking Can Slow You Down. I’ve enjoyed reading some of the other quotes, and will be visiting some of these sites. I especially liked Erik Emanuelli’s quote! Thanks for sharing. Yes, just sharing this out yet again because I love these quotes – inspiring, to the point and easy to remember, although, I had to come back to read again. LOL Don’t get old. Thanks so much for including me in this great list of bloggers. As I read down the list of quotes there were many that really resonated with me, so of course I gave them a Tweet. You also reminded me of some favorite blogs I haven’t visited lately, so I’ll head on over. These will give us the perspective of different bloggers towards marketing. You sure have put together a mega post! I thank you for including me here. How great it is that you have included “click to tweet” as I’m doing so down the list. I do have to visit some people I didn’t know yet. What a wonderful way to have amazing bloggers under one umbrella. You sure did a great job and I thank you. This must have taken you forever to put this together. But I tell you that I really appreciate it. You definitely did your due diligence in getting all these great bloggers together to share their quotes. I commend you on this! Yeah, it took me over a month’s time to put it all together. I like creating roundup posts but they surely are a lot of work. Thank you for the kind words, much appreciated. One can see all the hard work and efforts in compiling such a wonderful list of quotes from so many bloggers. All I can say is a huge thank you for adding mine as well. Sorry for being late here, as I was on a blogging break and have just returned – and better late than never. Blogging break! That sounds exciting 🙂 I might get a break myself this December hopefully. I haven’t taken any breaks since ages, I guess my will power to stay away from the Internet will be tested brutally during the break! Thank you for the kind words, it is always a pleasure to include you in the list. such a creative idea you came up with here, excellent! Thanks for including me – and I may copy and diversify this idea. This is an extraordinary quote list! WOW! Impressive. I can’t wait to tweet away these amazing tweetables. This must have taken an immense amount of time. Congrats on getting it all done! yeah, it did took me over a month’s time to finish up this roundup, but was fun too. Excellent Job Uttoran and Oleg. You both have done a superb work by compiling the quotes from different bloggers. Thanks a lot for adding my quote along with some of my blogging idols. There are many known faces in this list. And, I will connect with the first timers also. There is so much to learn from everyone, isn’t? Hats off to your efforts. I really like the way you have inserted ‘click to tweet’ button with every quote. I am taking away valuable insights from all the bloggers. Yatin Khulbe recently posted…Wide Smile Funnel Secret: Why your business needs a blog? Thanks a lot for including me among all these internet marketing giants. This must have taken you lots of time to put together. Nice Quotes from these bloggers.Last quote is very impressive. I’m glad you like the quotes. I remember I met you at Atish’s blog where you published your guest post. Thank you for quoting my post which actually was a guest post at my blog by “Justin”. If there’s ever anything I can do for you, please do just ask. What an impressive list of bloggers you have brought together. Many of them I know or have heard of. Thanks for sharing what obviously took you a while to pull together. I’m glad you found the list impressive, its also good to know that you already know most of the bloggers. Due to some offline circumstances I am not coming online and not sure from when I will be able to work like before. Good to see this blog post. Indeed a great list of quotes from different bloggers. Thank you for including me. Means a lot. Atish Ranjan recently posted…Donât Make These Blogging Mistakes! Thanks for the visit and i must confess that you’re doing an amazing job on your site so, you deserve all the mention. Thanks Uttoran Sen for sharing such wonderful quotes and also giving us the list of top 125 Bloggers. It also helps us in blogging as now we come to know about their blogs. Grad to know that you like the list and, welome to the community. Thanks for the visit and please, do stick around :). Bulk of knowledge in the blog . Very informative . 125 quotes are enough for me. I’ll bookmark for this post for later use. Thanks for the compliments, I’m happy that you found the post useful. Thanks for sharing all time great quotes from Industry expert!! And all he said is true indeed. Thanks for the adding to the list and we will try and update it. You’re awesome and appreciate you for that. Fantastic list of quote, and a ton of them. So many tips to increase our onlines businesses. Great job putting it together Uttoran. Nice to see so many familar faces. Thats a very kind word and i really appreciate them. Thanks a lot for stopping by and for complimenting the quotes. Thank you so much for including me with so many great bloggers, I am honored! I am sorry it has taken me so long to comment, I have been reading through the quotes and tweeting them as I can, but as you know I have been super busy working on my social media risk blog that you were so kind as to share your experiences in! This is truly an impressive collection of quotes that really summarize top tips for anything you need to market your business and create a great work environment… you did an amazing job of putting this all together! I will definitely be following along for more great content from you! I will keep sharing as well… Thank you for such a great resource of tips all in one place! Glad to know that you liked the roundup and the quotes. It is always a pleasure to have you on the list. You did an amazing job compiling the “Social Profile engagement and risk management” roundup and thank you for giving me the opportunity to contribute in it. Thank you, I really appreciate your kind words! I worked really hard on that post so that means a lot to me! I was just so happy that you were willing to contribute, your input was incredibly helpful! I like all markiting quotes from top blogger. every quotes has its own value..
saying of kulwantnagi – My aim is to convert my first time visitor into a reader. Which I cannot do if my blog. i like this saying from kulwantnagi. anyway thanks for nice sharing. Hi! thank you very much for sharing this information! I’m glad you like the post. These quotes wonderful same as there writers i really liked all quotes each quotes has its own meaning in it thank you for sharing these wonderful quotes with us you always share something i really appreciates your efforts keep it up. I really appreciate the visit and comment. For a blogger you don’t need any Master Degree to become a successful blogger. If you can convince your reading 2500 words blog post than you are professional Blogger. Thank you for including me with other great bloggers in this list. Neil Patel, Jon Morrow, Sujan Patel, Harleena Singh, Marie Forleo, Derek Halpern, Donna Merrill, Brent Jones, Wade Harman, Atish Ranjan, Myself, Yatin Khulbe, Nirmala Santhakumar, Maxwell Ivey, Chioma Anozie and Carol Amato are my favs. I loved all the tweetables which you’ve included in the post. I’m sure it took you lots of time and energy to compile this post. Great job. Thanks so much for including me on this list! It’s feels great to be included among some of the greats like Neil Patel, Marie Forleo, Rand Fish and Pat Flynn! You’re really doing a very amazing job at your blog, I always enjoy your inspirational tips. Thanks a lot for the visit Naomi, looking forward to seeing you again. I gave got into some problems, plus I thought to get away from my blog due to some reason.. But I restored myself and decided to jump start again. And now I see what you’ve done for me it is a massive moment for me to see my name along with great guys. I’ve no words for you bro, all I can say that you are really a true helping blogging buddy of us. Something exciting coming up.. and you know where you need to check!!! Yeah – I read on facebook that you were moving away from blogging. Every year many bloggers quit and it is always a sad moment to see a blogger go away … glad that you did not left. Will be surely checking your blog, excitement keeps us running! Wow, this is an ultimate list of influential bloggers and internet marketers. I loved the quotes from these professional bloggers. I am really astonished that this list is not having the Harsh Agarwal from shoutmeloud. He is the top blogger. If he will be in the list then I would love it very much. I also loved the Annat Patel’s comment in which he spoke out about Harsh. Well, you made good efforts. It is really awesome work.. Surely Harsh is a very popular blogger and am a big fan of shoutmeloud. I remember doing guest posts on it – way back in 2009. The list you have made is really amazing. All the bloggers are great in their work. I have known Harleena and many other bloggers from a long time. They are awesome. The quotes you have mentioned here are terrific. Glad to read the post. Ravi Chahar recently posted…How To Allow Users To Register On Your WordPress Website? I’m happy you enjoyed the post. Yes, Harleena is really very good at what she’s doing and all the other bloggers mentioned here are also superb. I am surprised, How much time you spend on this post to collect it, Really very hard to complete this list. Really you are rock. I am very impressive with your work. Thanks for sharong, Most of blogger are know personality. Plamen Ivanov recently posted…Dog separation anxiety and how to handle it? actually people love to know about successful persons like as you have mentioned mostly all tops bloggers. yes i love to know more and more about Neil Patel sir because he is one of most hard working person . and mostly blogger are very hard working people and helpful post really. What a wonderful list of quotes from the top bloggers in the blogging world. This took such a long time to do and I congratulate you for that. I am going to bookmark this post because when I am feeling down, I can come back to your post and get uplifted and encouraged. Thank you for sharing, Uttoran and you have an awesome week! Linda Schrier recently posted…Why Blogging Is So Powerful? What an epic round up. You must have put a lot of time into this post. This tips are so helpful, and it’s great to have them all in one place! Good collection bro.. It took me a lot of time to read them & some of them were very deep experienced words which took time for the meaning to sink. It is a hard attempt to gather their words & related posts in which they have mentioned these words to prove the authenticity. But, you made a successful attempt. 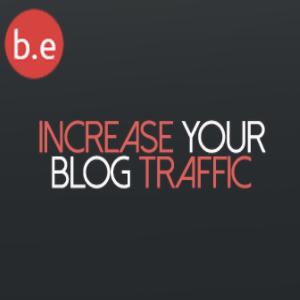 Not only that but you’ve recognized so many good bloggers here, giving them valuable exposure. I love your article & it’s motivated me a lot ! From this list i am following some grear stuffs such as neil patel, he is a guy that motivate me always ! Lutfar recently posted…The truth about themeforest coupon code ! Great compilation – kudos to you! Must have taken aaages. But there are a lot of names here I’ve never heard of before so thanks for that I’ll have to check out their stuff. A great collection for me. You did a great job to create this post. Now i have 125 quotes which are quite interesting and informative. Thanks for sharing. Keep sharing this kind of post. Your content is the story your brand shares with the world. Tell it! It will help me to success in online marketing. Games World recently posted…GTA Vice City Ultimate Trainer: Unlock all features! They are influential bloggers and internet marketers. Many of them I know or have heard of. LunchMyBlog recently posted…LunchMyBlog Welcomes You! You did great job of collecting what top blogger has to say about trends in blogs or what they think and what they want other to do. A great collection for me. I liked this quote very much. Amazing ! i know maximum person of the list ! Thanks for sharing this post.. I love your Top Bloggers list.. Useful quotes from every top bloggers in the world. Following the quotes from top celebrities of blogging world will give you some what best boost to start work hard on your own blog. Feeling boosted from this great post. Cheers !! Thanks for Sharing !! Keep Sharing !! Great round of influential blogger. They are gems of this industry and reading their opinions and quotes definitely worth it. What an amazing massing roundup! This is indeed an informative piece. I am bookmarking it for my further reference. I know 80% of the people who shared the quotes. Of course a collector’s item to check out every now and then. Thanks for taking the pain to provide such a massive post. Thanks for sharing this. May you have a great time of sharing and caring ahead. Indeed a great post, Uttoran. I really liked the quote by Ted Rubin, i.e. All business is about building relationships with people and when you do, you always get a return #RonR without even trying to sell. This is very much true. When we build a great relation with our customers and serve them better services and make them satisfied then they start buying our services again and again and It also help in getting mouth to mouth promotion. Such satisfied customers start promoting and recommending your services to their friends and relatives which gives your customers regularly without making any efforts. Great quotes list, thank you for sharing the nice list. I just found this post, looks like it was published a while ago. But man these are still great quotes and advice. And all the people in this list are still on top of their game! Great evergreen post! I love the inspiration that quotes provide. Inspiring quotes. All quotes are very motivational and interesting. Thanks a ton for your efforts to put all bloggers in a single article. Hi, great list of top bloggers giving out valuable information. I’ve already started following a few and hope they produce some quality posts. 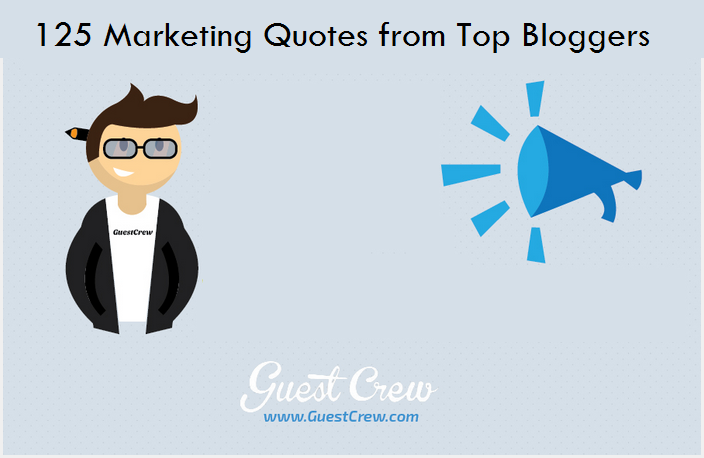 This is a great post bout 125 marketing quotes from top bloggers. In this post you have shared an unique idea. I think this post is both a tutorial post and content curation, with a difference Not only that but you’ve recognized so many good bloggers here, giving them valuable exposure. So thanks for sharing your valuable ideas with us. Such a nice article, the names in the list are the names of truly successful peoples and there quotes are big source of inspiration for the beginner like us. Awesome post!thanks for sharing such informative and useful article.it is really such an amazing.the points you have shared here there really educative.